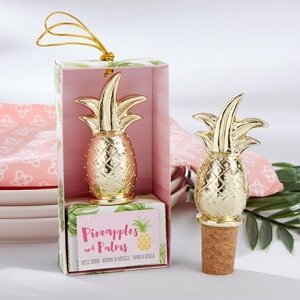 Help retain the flavor of any wine by having some Gold Pineapple Bottle Stopper Favors ready to go. 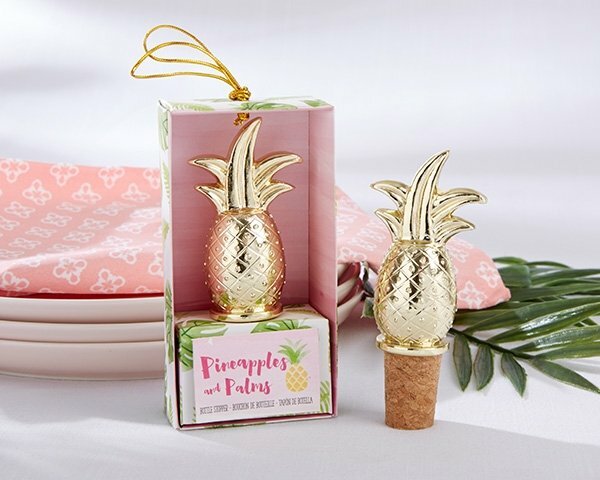 Your wedding does not have to be located in Hawaii in order to have a tropical theme, and you can add to the aesthetic with these festive party favors. These are fantastic favors for guests to take home because you know they will definitely be getting some use out of them. You can even get your stoppers to come with customized tags to personalize them for the occasion. For an extra fee, you can add a personalized tag in the design of your choice.